Childcare and early learning: This is why I'd love to be a child again. "I'm a parent of a four year old, and I wish I was his age again." Before downing my double shot and tackling my morning commute, I dropped my four year old off at childcare. He gave me a big kiss before running towards his friends with the kind of enthusiasm I reserve for salted caramel cronuts and online clothing sales. While my preschooler enjoys a glorious day of eat, play, learn, rest, repeat, I’ll be yawning through one-hour meetings that could’ve been a one-sentence email while mourning my social life and wondering what I’m going to eat for lunch. 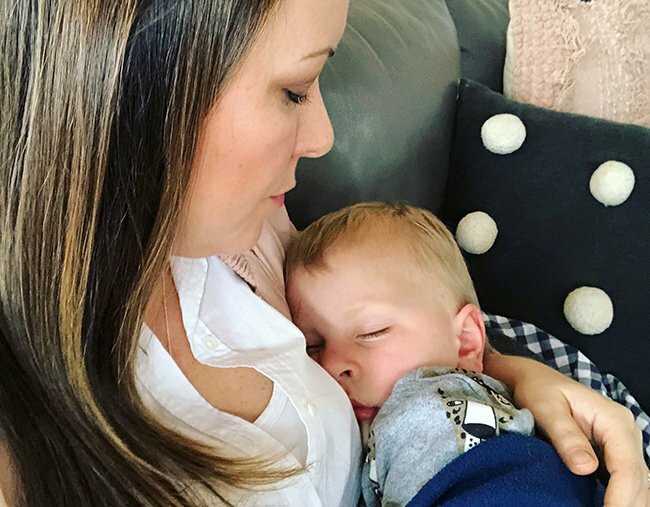 Yep, there are a lot of reasons I’d love to be a tiny human again – here are a few! You get delicious meals cooked for you. I don’t know about you, but the mental effort of meal-planning for a family of four takes it out of me. After filling a trolley with groceries while wrangling two kids and stuffing our appallingly organised fridge, I still have to, you know, cook. And when us parents aren’t cooking for them, they’ve got chefs at their disposal at childcare. At Only About Children (Oac) early learning and preschool, health and wellbeing is front of mind, the kids are served up creamy chicken, pumpkin and penne pasta or warming beef and mushroom pies. Gourmet, much? Yep, while I’m at my desk picking at limp leftovers, those lucky four year olds are enjoying a smorgasbord of nourishing meals, all without ever having to step foot in a supermarket or kitchen. Not a bad life. Not bad at all. Warming beef and mushroom pie certainly beats my lacklustre lunch! Image: Only About Children. People applaud you for napping. As I stare at 103 unread emails, what I really want to do is crawl under my desk and snore like a wildebeest. If I was four, my desire to rest in the afternoon would get a round of applause. And when I woke up, my educators would be ready with a yummy snack and a fun activity like reading the Book of the Month or a yoga and drama class. As an adult, napping in an open plan office would turn me into water cooler conversation fodder and my only reward would be a warning letter from HR. “When I wake up, I expect a round of applause, thanks.” Image: supplied. Your social life is on point. Since having kids my social life consists of tagging friends in funny memes before heading to Club Doona at 9pm. Meanwhile, the social life of a four-year-old would be the envy of The Bachelor alumni. Forget a girls’ weekend once every two years, every day at Oac the preschoolers get to hang with their posse all day long enjoying chats, active play, gardening (including sustainability practices - how cool is that? ), dancing, art, music and even Spanish lessons. Adventuring outdoors with your BFFs in tow? High on the priority list! And let’s not forget all those birthday parties every other weekend, all of which come with a free chauffeur service. If you dress weirdly, people think it’s cute. When my four-year-old is dressed in a Spider-Man costume accessorised with fairy wings and a footy scarf, people comment on how cute he looks. When I want to wear my unicorn onesie to the milk bar, my husband tells me I’m unhinged. Sometimes I walk through a sea of suits in the CBD and think, wouldn’t it be nice to inject a bit of fun back into adulting? My kid has no such problem. Each morning he curates outfits that would make Anna Wintour dry retch. Bright orange hoodie with red trackie pants and blue polka dot socks? He rocks that visual assault with the confidence of a Kardashian. And at holistic learning centres like Oac, that kind of individuality is celebrated because they’re all about encouraging kids to be their fabulous, creative and curious selves. "Just off to a party Mum, don’t wait up." Image: Supplied. If things don’t go your way, you can just chuck a tanty. The other day my four-year-old demanded a chocolate egg at the supermarket checkout. When I said he had a greater chance of winning the lotto without a ticket, he combusted. And stamped. And screamed. While this is thankfully a rare occasion these days, I still had to endure the ‘tut-tuts’ of childless shoppers before grabbing my delightful son in a surfboard hold and exiting the scene of the crime. As an adult, there have been SO many times, I’ve wanted to indulge in a little foot-stamping screamfest. Instead, I do yoga. Of course you’re smiling, your life is awesome. Image: Supplied. Yes tiny humans, you&apos;ve got it good, real good. And this mumma wouldn’t mind trading places with you for a day or two, maybe even a month. For now, I’m just gonna fantasise about my next holiday while living vicariously through my four-year-old. What would be the best thing about being a child again? Enrolments are currently open for 2019 at Oac early learning and preshcool centres. Take a peek! This content was brought to you with thanks from our brand partner, Only About Children. Only About Children (Oac) offers a unique approach to childcare that gives children the platform they need to thrive. Oac uses an approach that exceeds high quality education to include the overall health and total wellbeing of the child, in exceptional age based learning environments. It operates 65+ early learning and preschool campuses in Sydney and Melbourne. 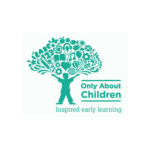 Click here to find out more about Oac’s holistic approach to early learning and development. Tour today.